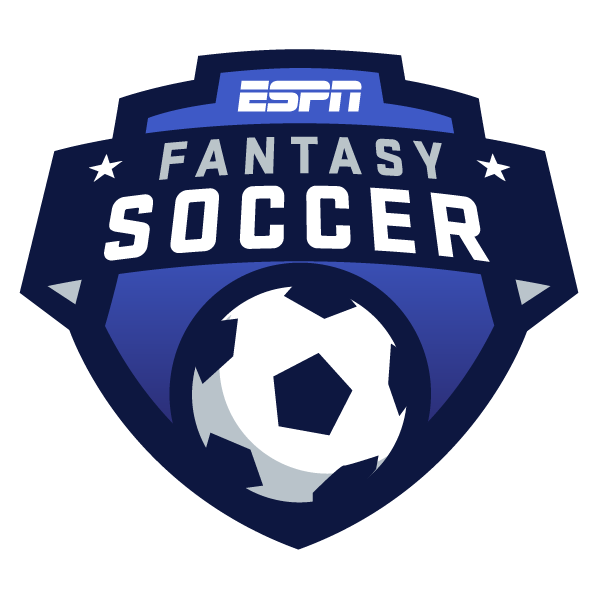 We've reached the fourth week of the Major League Soccer season, but there are only five games this weekend, so your fantasy options are pretty limited. Not only are there just 10 teams in action, but some of those teams are depleted as well due to international call-ups. I've already explained why I'm going with Daniel Royer as my Tier 2 midfielder and Eduard Atuesta as my Tier 3 midfielder. Royer has a high upside, coming off a goal and an assist in the New York Red Bulls' 4-1 win over the San Jose Earthquakes last week. The Red Bulls are strong favorites at home against Orlando City, who are winless in their first three games. Atuesta has a high floor, being tied for 10th in the league in passes completed. I don't see any likely goal scorers in Tier 3 this week, and LAFC are also strong favorites at home against Real Salt Lake. Speaking of LAFC, I didn't have to think too long before choosing Carlos Vela as my Tier 1 forward and captain. Vela, as mentioned in my MLS review piece on Monday, leads the league in fantasy points thanks to his brace against NYCFC last week, which followed his one-goal, two-assist performance against the Portland Timbers the week before. I had to think even less about my Tier 1 midfielder, because hardly anyone is available here. Federico Higuain has been solid despite not scoring a goal yet this season and only having one assist. Higuain has six chances created and is averaging 53.7 passes per game. Columbus are on the road this week, but the Crew are only slight underdogs playing at Philadelphia, who are also winless in their first three games. I had a much tougher time selecting my Tier 2 forward. Dom Dwyer has scored a goal in back-to-back games for Orlando, but I really don't like their matchup. The Red Bulls were the best defensive team in MLS last season, conceding only 33 goals in 34 regular-season games. Cristian Penilla's name also jumped out -- he scored 12 goals for New England last season, and the Revolution are solid favorites at home against expansion side FC Cincinnati. But not only has Penilla not scored this season, but he was taken off at halftime of the Revs' second game and didn't even start last week, only coming on in the 84th minute. With New England-Cincinnati being the final game of the weekend, the only one on Sunday, Penilla is way too big a risk. Instead, I'm picking Michael Barrios, with FC Dallas solid favorites at home against the Colorado Rapids, another team winless through the first three weeks. Barrios scored a goal in Dallas' season opener, and even though he's taken only one shot in each of their first three games, he also had a big chance against Columbus last week, saved by Zack Steffen. Dallas are second in the league in possession (61.3 percent), and Colorado are second to last (39.6 percent). I expect Dallas to have lots of the ball on Saturday, and hopefully that leads to a goal from Barrios, or at least a decent score. Matt Hedges, FC Dallas (Tier 1 defender): Don't be fooled by Gaston Sauro's sky-high points-per-game average -- Sauro is a center-back who has already scored two goals this season, which is rather fluky. Hedges is second in the league in passes completed, averaging 82.7 per game, and Dallas should have a big possession advantage over Colorado, as mentioned above. That gives Hedges a very high floor, and he did score three goals himself last season. Reto Ziegler, FC Dallas (Tier 2 defender): Hedges' center-back partner is the only player with more completed passes through the first three weeks of the season. Ziegler is averaging 89.0 per game, and he also took (and converted) Dallas' first penalty kick this season -- meaning he has a very high floor and goal-upside, too. Tyler Miller, LAFC (Goalkeeper): Miller has yet to keep a clean sheet this season, but I like his chances of doing so at home against Real Salt Lake. RSL have only two goals in three games, and both were scored by Albert Rusnak, who's out this weekend due to international duty.